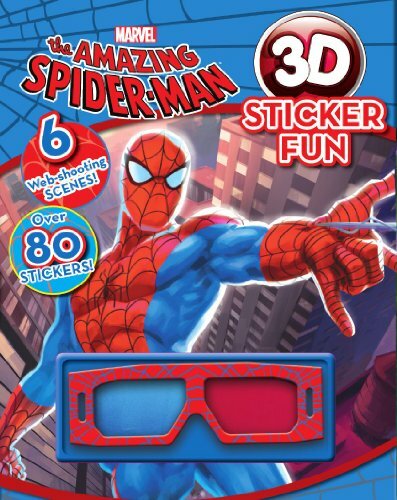 Amazon.com description: Product Description: Over 80 stickers, 6 super scenes, and fun facts about Spider Man are included in this action-packed activity book for kids! 3D glasses bring all of the scenes to life and kids of all ages will love engaging in creative play with one of their favorite Marvel characters. About: Over 80 stickers, 6 super scenes, and fun facts about Spider Man are included in this action-packed activity book for kids!